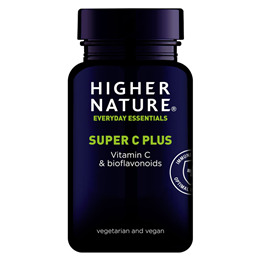 Ultra Plus C provides 1000mg Vitamin C plus 500mg Citrus Bioflavonoids, known to assist the function of Vitamin C in the body. Bioflavonoids are natural substances found in peel of citrus fruits, peppers, buckwheat, black currants and other natural fruit sources. Bioflavonoids are sometimes considered vitamins because they possess the properties of a vitamin and are referred as vitamin P. Working with vitamin C, bioflavonoids help boost it`s effectiveness in the body. Vitamin C (as ascorbic acid), citrus bioflavonoid complex (min. 35% bioflavonoids), bulking agent: microcrystalline cellulose; anti-caking agent: magnesium stearate*; coating: hydroxypropyl methylcellulose (glycerine*). Below are reviews of Ultra C Plus - Vitamin C Complex - 90 Tablets by bodykind customers. If you have tried this product we'd love to hear what you think so please leave a review. 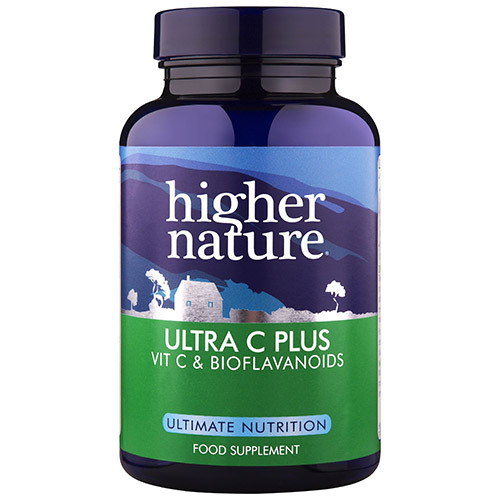 Ultra Plus C provides 1000mg of Vitamin C plus Citrus Bioflavonoids, known to assist the function of Vitamin C in the body.